The new law, AB 768, imposes a ban that Major League Baseball has called for, but failed to deliver due to opposition from its players union. California’s ban has no provision for enforcement, though. The ban is scheduled to take effect next year. Many MLB players have recently said they would like to quit chewing tobacco but struggle to do so. Earlier this year, the Boston Globe polled 58 players the Boston Red Sox invited to spring training. Of those polled, 21 said they were users. Pitcher Jake Peavy told the Boston Globe he grew up with it. 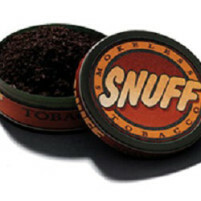 Last May, San Francisco adopted a smokeless tobacco ban. That ban has not taken effect yet. The Los Angeles City Council was also working on a smokeless tobacco ban when Brown signed the new legislation. Five of the 30 MLB teams are located in California. Maybe this will help spur the giants and dodgers to return to New York . California government sure enjoys banning things. Why not ban illegal immigrants. How about a ban on the welfare state. How about a ban on tax increases. And while you’re at it ban corporate welfare and lying in the media, and call out the military industrial complex next time they try to dupe the public into wasting $trillions on destabilizing another region of the world in an attempt to ensure future profits. Both the military-industrial complex and the green-energy complex! So much fraud, waste and abuse in the “new, green economy” as to make me sick! At least with the fraud, waste and abuse in the military-industrial complex we got some cool ordinance and deployment methods. With the “new green” all we get is bankrupted companies poisoning the environment more than evil coal and gas, it seems. How many old-growth trees must be killed for solar parking covers at every school? How much tax dollars must be redistributed to make “going solar” even remotely attractive? How many birds and natural landscapes must be destroyed by wind turbines? Anyway, I saw your point and added to it. Another useless law by the controllers. To bad the people were not smart enough to flush brown when he came around, but I have faith the same ones will vote a hill back in and billary in Washington. I’ve read somewhere, “never underestimate the sickness of the American voter” or some such phrase. Yeah, I fear you may be correct.